Brabham BT30/11 Ex. John Watson (FIA HTP). Used by Watson throughout the 1970/71 European F2 Championship and to win the 1971 Leinster Trophy at Mondello Park. 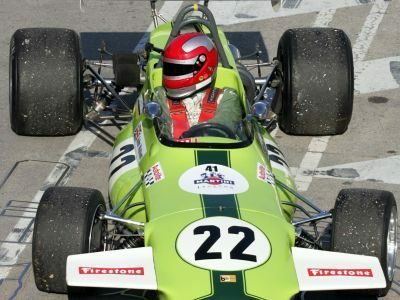 Arguably, this car launched his international career: as a privateer, such was the impression he created with it that by the end of 1972 he had made his F1 debut. The car has recently been rebuilt and is currently fitted with a refreshed Geoff Richardson BDA (Atlantic spec. ), Hewland FT200 gear box and a set of (little used) Avon wets on rims. Eligible for HSCC European F2, Derek Dell Trophy or HSCC Classic Racing Cars (where it has been a winner on several occasions) but could also be used in many other historic series around the world. full carbon made heavy downforce rear wing for sport prototypes or GT-cars ( without brackets ); dimensions are 1802 mm width, 355 mm profil lenght, 707 mm distance between fixations.